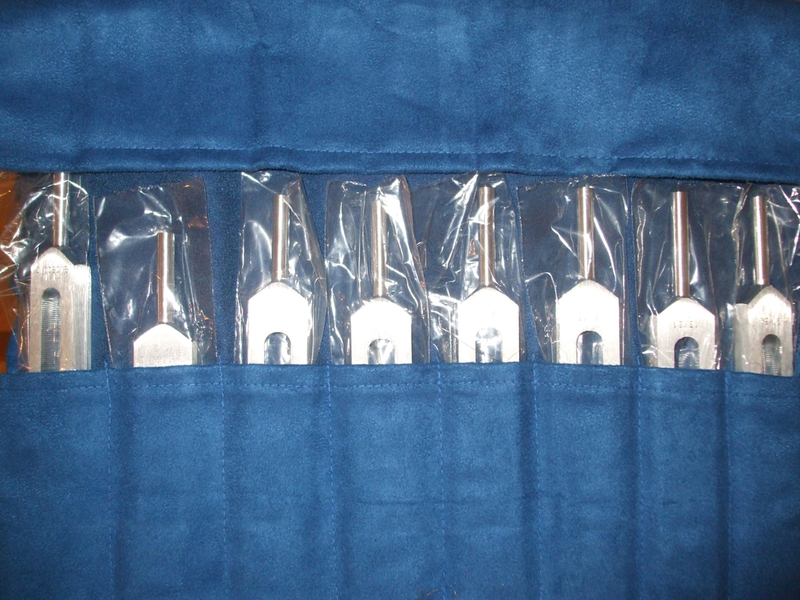 This 8pc Fibonacci Tuning Fork Set comes in a golden velvet case (used to come in a golden velvet case-that case is now blue). These forks are labeled based on the Fibonacci number sequence series. Use them alone or together to create wonderful overtones that you can use to connect with the Universal Energy Field. Set includes a FREE mallet. (PLease note that sometimes the color of the cover changes-but they are still the same forks from the same manufacturer).